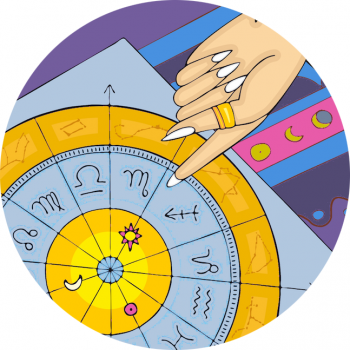 Astrology Beauty – The Top 5 Tips To Work A Gemini Makeup Style! Top 5 Tips To Work A Gemini Makeup Style! Take it from the stars, those born under the Gemini constellation can work a truly gorgeous makeup style! What are the top beauty tips for Gemini babes? Gemini Celebrities (as above): Elisabeth Harnois, Heidi Klum, Iggy Azalea, Willow Shields, Anna Margaret, Courtney Cox, Binky, Ginnefier Goodwin, Angelina Jolie, the Olsens, Anne Heche, Imogen Poots, Jewel Staite, Anja Rubik and Claire Holt. Gemini can frame her bright, sparkling open eyes with a touch of liner and add a highlighting shade. Bright white is an ideal addition to the inner corner of the eyes and washed over the lids. Those born under this sign have wonderful twinkling eyes, some might say they’re mischievous! They’re truly complimented by shimmering eye shadows, paired with a dark eyeliner, and lashes that frame this, their best feature. Gemini needs a light touch on the lips – a sheer gloss or subtle texture works well or a pale lip color that’s not too overwhelming. The Gemini born are a youthful bunch and when their beauty begins to wane they may turn to alternative methods to keep them at their best! Choosing prevention over cure is a wonderful tip for the twins. Bright and breezy is best for the Gemini hair and beauty style, a cut should be very light and airy, free and flowing! Many Gemini opt for a pixie cut – read more here. You can add a touch of sparkle, glitter or a butterfly hair clip, since this sign rules birds, butterflies and flight. Keywords: alert, busy, chatty, curious, flexible, fun, inquisitive, mischievous and sociable.